Night Shift Finale Recap: Who Left, Who Stayed for (Any Possible) Season 5? A cowboy seeks to rescue, then woo, a damsel in distress. But he is constantly thwarted by the scratches, breaks, and other imperfections present in the film print itself. An artist creates a painting of the landscape he sees, then finds he can literally climb into the picture to see the fantastic world inside. A short animated film that starts with a close up on a Paul Delvaux painting then pulls back the shot while continually changing the picture. When a liberal idea emerges in a tyranny ruled society, power and wealth unite to bring it down. A short film about a young girl who cares for a wise old scholar in exchange for guqin lessons. A cellist attempts to rescue a woman swept out to sea, only to find he must battle a series of overly possesive sea creatures. Charley Bowers was one of a kind: silent film comedian, newspaper cartoonist, and a true pioneer of animation. A recently released double-DVD set containing the bulk of his surviving films proclaims "The Rediscovery of an American Comic Genius." 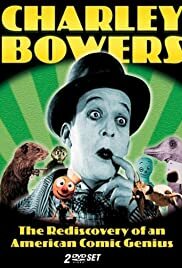 Bowers' work is fascinating, and in the field of puppet animation he was most definitely a brilliant innovator, but as much as I enjoy his movies I have some reservations about him as a screen performer. Bowers' shortcomings are clear in Egged On, which aside from one mesmerizing sequence is a somewhat frustrating film. As usual Charley plays an inventor who creates a bizarre machine, in this case a Rube Goldberg-like device for making eggs unbreakable. The plot hinges on whether Charley will be able to sell his machine, make a fortune, and marry his fiancée, a farm girl who has persuaded her father to let Charley build this enormous machine in his barn. Sounds like a decent premise, but after a promising opening the early scenes don't deliver. Charley is in an office building where he approaches various businessmen, trying to get funding for his machine. In order to demonstrate the need for an unbreakable egg he finds it necessary to remind the gentlemen that eggs break too easily; and each time he does so (breaking eggs on desks, throwing them at walls, etc.) he is ejected from the office. Over and over again. After this happens a few times you just want to grab the guy and shake him. Bowers' character is slow on the uptake, and also seems to lack empathy: later, when he's building his machine, Charley thinks nothing of swiping the parts he needs from any available source, whether he has to steal from neighbors or chop off an old man's beard. (Today we'd call Charley a techno-geek, the kind of guy who gets totally obsessed with projects and goes several days without sleeping or bathing.) The character's self-involvement and dogged cluelessness where other people are concerned wouldn't be much of a problem if he made us laugh, but the routines he performs in the film's first reel are more off-putting than amusing. However -- and this is typical of Bowers' movies -- as soon as the animated sequence begins, all is forgiven. The highlight of Egged On is a scene in which tiny cars hatch out of eggs, and it's incredible. It comes towards the end of the film and lasts for only about two minutes, but it's amazing and funny, and well worth waiting for. Strangely enough, just about every extant Bowers film features eggs in one way or another, and a couple of others have scenes in which machines hatch from eggs. Go figure. I believe Charley Bowers' best surviving films are Now You Tell One and There It Is, but all of them have at least a sequence or two that is truly original and memorable. Whether or not he was a "Comic Genius," the man is most definitely worthy of discovery. P.S. Perhaps I should add that I wrote this review after seeing Egged On at home, on TV. More recently, when I saw it at a public screening with an audience, the crowd laughed heartily at those early scenes I found repetitive. Just goes to show, these films were made for audiences, not to watch alone!